Expatriating from Washington, D.C. to Holland with my husband and one-year-old daughter was supposed to be an adventure—thrilling, but brief. However, two years turned into nine, our family of three became a family of six, and my European sojourn turned into my life. For the most part, I like my Dutch home. Wassenaar is a suburb of The Hague on the North Sea. 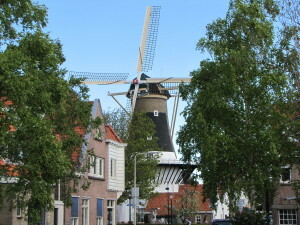 It is the quintessence of Holland, dotted with thatched-roof cottages and crossed by brick streets and bicycle paths and canals lined with beech, oak, and horse chestnut trees. The pace of life here is slower than in D.C.; one can (and often does) catch up with a friend while lingering over a cappuccino in a coffee shop. The town is also clean and safe, so it is a nice place to raise children. Most of the people are Dutch, but there is a substantial bubble of American expatriates, largely oil company executives and diplomats. 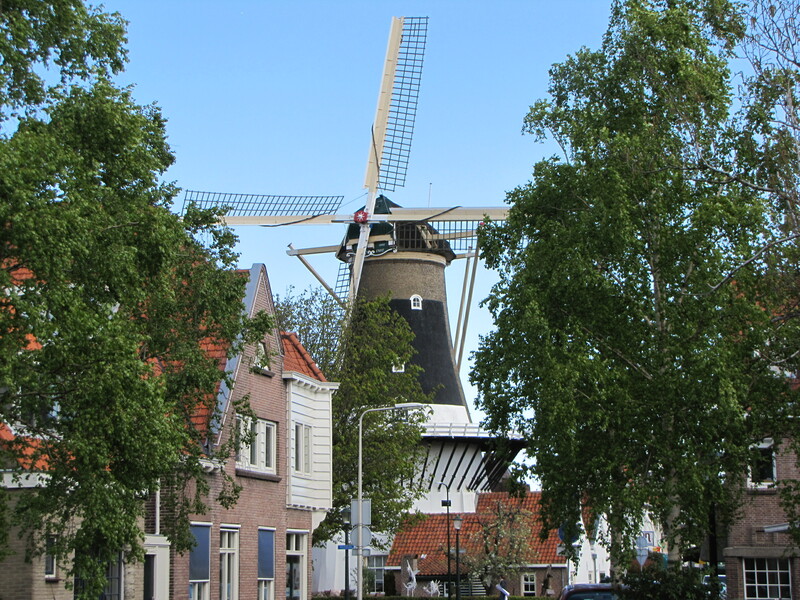 Almost everyone speaks English in addition to Dutch, so I think of Wassenaar as "Expat Light." I'm abroad but not adrift! Like most expat moms here, I am a "trailing spouse." I left my career to enable my husband to follow his, and I do not work outside the home. While my life is not unlike that of stay-at-home moms in the U.S., there is little cultural or other pressure for moms here to reboot a career—or even return to work—when their youngest child reaches school age. But the life of a trailing spouse has never satisfied me. I am a discontented exception amid trailing spouses content to trail. My life often feels aimless. I miss being surrounded by the meaningful ambition of like-minded people. What Wassenaar lacks most, in my opinion, is precisely what I lost when I moved here: a community of writers. Back home I'd been a frequent participant in workshops at The Writer's Center in Bethesda, Maryland. I'd dabbled in poetry, short fiction, and novel-writing before discovering my true passion: screenwriting. My mother had always told me that she liked my dialogue, and indeed, it was invigorating to hear my work read aloud—acted—in class. In Wassenaar there are no writing groups. No workshops. And in my social circle, there are no writers, and certainly none interested in writing for the screen. There are resources in Amsterdam and The Hague, but these resources are difficult to access when one has four small children, a husband who travels perpetually for work, and no nearby family on whom to rely for help. After enduring two years without a literary community, I sought refuge from my alienation in online writing classes, and it was online that my passion for screenwriting evolved into a passion for television writing. For one of my classes, I had to write a spec script for a television show. A spec is a screenplay one writes on speculation; the script hasn't been solicited or commissioned by a producer or production company or studio. Instead, it serves as a writing sample to garner interest from agents or potential producers. I chose to write a spec for Castle. I had loved Castle from its premiere and have been an avid viewer for seven seasons. The show, a light police procedural, is about Richard Castle, a successful mystery writer, who partners with an NYPD homicide detective, Kate Beckett, to solve crimes. I liked the repartee between Castle and Beckett as well as their romantic chemistry; the show was more about the characters than about the crimes. It was reminiscent of two of my coming-of-age favorites, Remington Steele and Moonlighting. My mother used to record both shows on VHS and together we'd watch them, over and over again. To prepare to write my spec, I watched episodes of Castle and the bonus features on the DVDs. I studied Castle scripts for formatting tips. I read producers' commentary and all the tie-in works. After researching police procedure and forensics, I outlined my episode and started writing. I wrote and I wrote. I switched the laundry and I wrote. I made dinner and I wrote. I changed diapers and I wrote. I often wrote late at night, while listening to the clock tower at St. Willibrordus chime each half-hour, stray cats screech in my garden, and teenagers motor by on scooters. In the mornings I was tired. I put one child's egg salad sandwich in another child's lunch bag. I forgot which child needed her library books and which child needed a permission slip for the field trip to the apple orchard (or was it the firehouse?). I poured the baby's milk into my husband's coffee thermos. I sometimes wondered what I was doing. I was straddling two worlds: the one harried and the other calm, the one in the eye wall of a cyclone and the other in its eye. But I continued to tap away for nights on end until I finished my script. Sixty-four pages. A stack! The morning after I finished the script, I printed it and put it on my desk next to my laptop. My class, for which I only had to submit a scene or two, was long over, so my script just lay there. In the days that followed my children spattered the pages with orange juice while they played Minecraft. The baby added insult to injury when she took a Sharpie to the title page and to Act I. Even I piled mail, bills, and to-do lists on top of it. A couple of weeks later my eldest daughter, Sophia, was invited to a birthday party. Sophia and I biked to her friend's home, which was located on one of the most desirable streets in Wassenaar. The houses were inordinately large for Holland, with arched entrance doors, terraced patios laid with red clay paving brick, and sloping lawns. It was sunny (atypical for Holland), so the party took place in the backyard. When we arrived, Sophia grabbed a Nerf gun and darted off after her friends. I accepted a glass of wine from the birthday boy's mother, whom I later learned was a painter, and introduced myself. She did a double take. "You're Sophia's mother!" she said. Before I could respond, she startled me by adding, "You're the writer! You write for Castle!" I was about to say yes, then I was about to say no. Then, perhaps, yes and no. I hesitated. She was looking at me with recognition, curiosity, sisterhood, and respect. The way one artist looks at another. But it was not true, what she had said. I did not write for Castle. Not really. Nobody on staff at Castle knew or cared who I was. I'd only written a script on speculation and that spec was sitting on my desk at home, marbled by orange juice and marred by a Sharpie scrawl. And just like that, my worlds collided. I was a mom and a writer; I was whole. It was my own personal Big Bang. I had time only to register a surge of pleasure before there was a tug at my side. Sophia must have heard her name. I turned to see her leaning against my hip. The Nerf battle was at a cease-fire. She looked up at me with a sheepish grin. Her face was pink beneath her yellow hair. Her eyes were wide, earnest. I hadn't known that she was aware I'd written a script. I thought she had only some vague notion that I sat at my computer for long periods when she was in bed at night. And that I watched too many episodes of Castle. But she had been bragging about me. She was proud of me. All this time, I had thought Sophia couldn't care less about what I did when I wasn't mothering her. It hadn't occurred to me that children could be proud of their parents. Yet I had been proud of my own mother. When I was a child, I would barge into my mother's bedroom. Her back was always to me. A wisp of smoke snaked up from the Winston cigarette she invariably balanced between the index and middle fingers of one hand. In her other hand she made proofreader's marks with a red pencil on a typed manuscript. All those marks—those deletes and itals and stets and close-ups and insert commas—were like hieroglyphs to me, ancient, precise, arcane. She edited tomes with titles like Primary Care Orthopedics, Gynecologic and Obstetric Surgery, and Emergency Medicine: A Comprehensive Review. It wasn't until I was in high school that it registered: she was good at what she did. I witnessed a client treat her with deference. I learned that she was always given the most complicated manuscripts. I read acknowledgments to her: "Without Gail this book would not have been published." Flowers arrived at our doorstep, and they weren't from our father. It was the flowers that impressed me, I think. Gladiolas. I looked at her differently then. She was smart and she was good at something, something she enjoyed. I was proud of her then. When the party drew to an end, Sophia and I retrieved our bikes. Our hostess called, "We'll look for your name in the credits!" I smiled. I was mortified now—too mortified to admit that I was not a professional screenwriter, as she had assumed. But on the ride home, my daughter smiled at me, and I smiled back. She didn't know it, but she had given me a green light. Later that night, after she went to bed, I plucked that disheveled script from the bottom of the pile. A few keystrokes later, I'd submitted it to two screenwriting contests—one of the best ways to get a script noticed by the industry and by a potential agent. Then I started writing a premise for a new television series. My work had begun. Amy R. Martin is a freelance medical and science writer/editor and perpetual expat. She lives in The Netherlands with her husband and four children. Terrific essay. Inspiring to any aspiring writer! As a mother and an editorial assistant, I completely relate to your essay. I also worked with your hubby at Aspen :) best of luck to you!